Welcome to Day #11 of Chocolate and Coffee Theme Week, and Day #3 of Chocolate and Almond Theme Week. 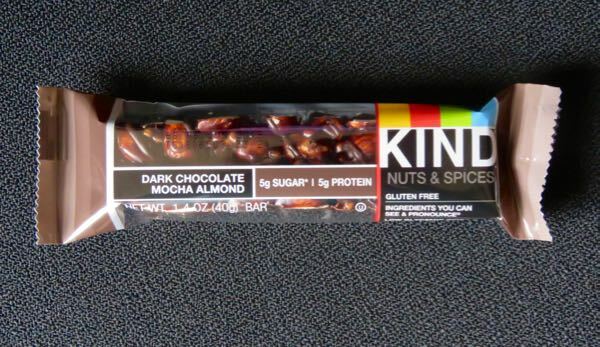 Today's Dark Chocolate Mocha Almond bar was part of KIND bar's "nut and spice" group, part of the company's expanding line of nut and fruit bar flavors. This gluten-free, mahogany-colored bar had a satisfying almond nut crunch and dark chocolate mocha flavor, as promised. 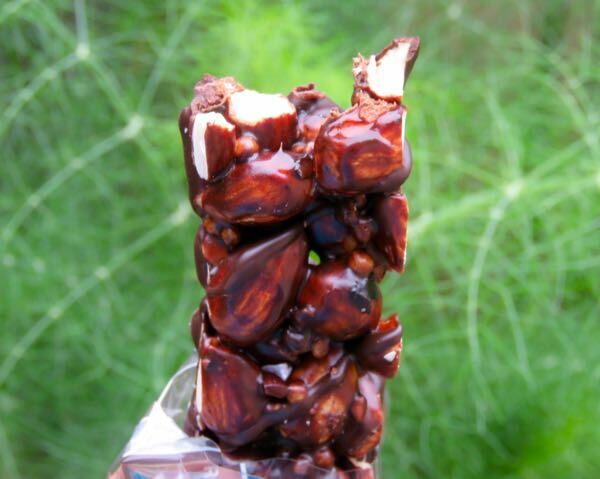 Ingredients: "Almonds, chicory root fiber, palm kernel oil, sugar, honey, glucose syrup, unsweetened chocolate, cocoa powder, rice flour, cocoa nibs, coffee powder, soy lecithin, madagascar vanilla, salt, natural flavor, cocoa butter."